Here at Garvin’s, we’re big believers in letting the experts do their jobs. When the furnace breaks down, we call our favorite HVAC company. If we need a transmission rebuilt on one of our plumbing trucks, we’re not heading out there ourselves with a screwdriver. So, even though we make our living as professional plumbers, we’d suggest calling the pros for major plumbing problems even if we weren’t in the business. Still, it doesn’t take an expert to tell you that saving water is a good idea. Colorado might not be a desert, but much of it is arid despite our mountains being a major water supplier for many states. Saving water also saves you money, because the more you use the higher your water bill. What steps can you take on your own to save money? Here are some things you can do without the help of a professional. Who would have thought this would have been such a big deal, but it took a law taking effect August 10, 2016 to make it legal for Coloradans to collect rainwater in rain barrels. You’re allowed to collect two 55-gallon barrels of rainwater; simply attach it to a gutter and let the barrels fill. This water is perfect for watering plants on your property, but you certainly shouldn’t drink it (shingle/gutter water doesn’t taste very good). Also, make sure to keep it covered so that the mosquitoes don’t use it as a breeding location. 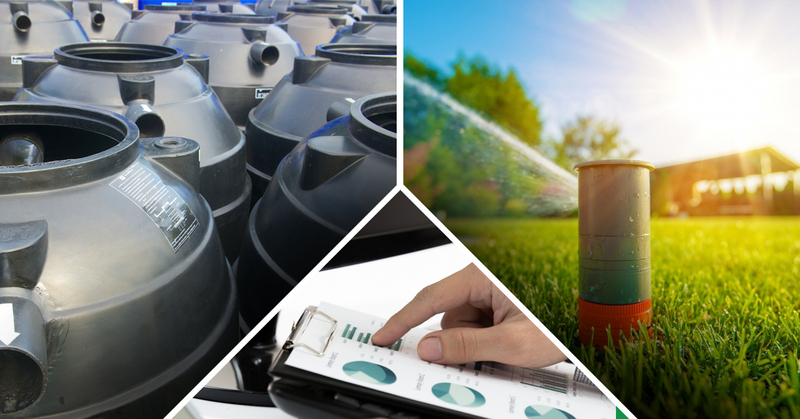 Watering the lawn is one of the biggest uses of water for many households, and there are many steps you can take to reduce the amount of water you use. First of all, you can eliminate your grass completely and replace it with xeriscaping materials. This will reduce your watering by 90%, and maybe even 100% when the plants become established. If you can’t give up the grass, make sure you have the right variety. Some grasses are thirstier than others, requiring much more water to stay green. Find the right type of grass for Colorado and you’ll have a grass that lasts through the entire season while requiring less water. Also, know when to water. Watering during the hottest part of the day is counterproductive, because much of the water evaporates before it even hits the ground. After that the hot sun will evaporate the droplets from the grass blades before the water can soak into the ground. Finally, maybe it’s time to change the way you water. Drip irrigation can help make watering more efficient for your landscape by keeping the water closer to the ground, avoiding the wind and sun as much as possible. Most of us are aware of what we’re paying for our utilities. The internet bill stays the same, natural gas prices go up in winter, and as long as something isn’t completely out of the ordinary you simply pay bills and move on. But with so many of us utilizing autopay systems and electronic bill paying, it can be harder to notice when the water bill is spiking. Be sure to take a look at the actual bill, not just the payment amount on the bill. Do you know how to read your water meter? Most people don’t. After all, you don’t actually own the water meter, and with most of them in out-of-the-way places at the side of the house it’s not something that most people think about that often. But if you suspect a leak due to your diligent water bill reviews, learning how to read the meter can help you verify the problem. You might have hidden leaks in your house that are costing you a ton. Those are three great ways to save water here in Colorado, and you didn’t even have to call your local plumber! We have some more ideas you’ll want to check out in our next blog, so check back!